Karelia -- divided throughout history -- is a region whose natives share Russian and Finnish roots. This release of traditional Karelian tunes, played on traditional and modern instruments, is testament to the rich Karelian culture. 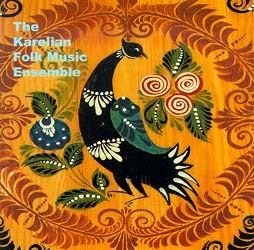 This is the only CD of traditional Karelian music available in the U.S.!